What can’t you do with a library card? Photo of the Beacon Hill Library by Jason Simpson. Ever wished you could print/fax/copy/scan right here on Beacon Hill? Well, you can! The Beacon Hill Branch of The Seattle Public Library has it all–cheaper and faster than any office supply place. Scan your documents for FREE to your USB thumb drive, print (color or B&W), copy, or fax from the checkout desk. Plus free wi-fi, computers & meeting space. Woot! Speaking of wi-fi–you can take it with you! Check out a “wi fi hotspot” for 21 days. You can reserve one in advance. Bring internet access to your home, for free! Find out more here. Have you checked out the Summer of Learning program? It features tons of free activities all over the city, for all ages. Bring your kid(s) to the Beacon Hill branch today, grab a booklet (and a free book to jump start the learning) and head out for fun! Grownups can sign up for Summer Book Bingo. Print a card (or pick one up at the branch) to enter to win fabulous prizes. This isn’t for the faint of heart–filling your bingo card will be a stretch for even the heaviest reader. If that’s not enough to keep you busy, check out free passes to many of Seattle’s most popular attractions–including the EMP, Seattle Art Museum, Wooden Boat Center and many more! You can reserve by date or by venue at http://www.spl.org/library-collection/museum-pass. Photo by Rebecca Siegel via Creative Commons/Flickr. Local meetup group Mah Jongg Fever is sponsoring Mah Jongg: The Art of the Game, an author talk by Gregg Swain, co-author of the book Mah Jongg: The Art of the Game: A Collector’s Guide to Mah Jongg Tiles and Sets. The event is Saturday, July 18, at 1:30 p.m. in the Beacon Hill library, 2821 Beacon Ave. S.
Bring books for signing and vintage mah jongg sets for Gregg to identify. 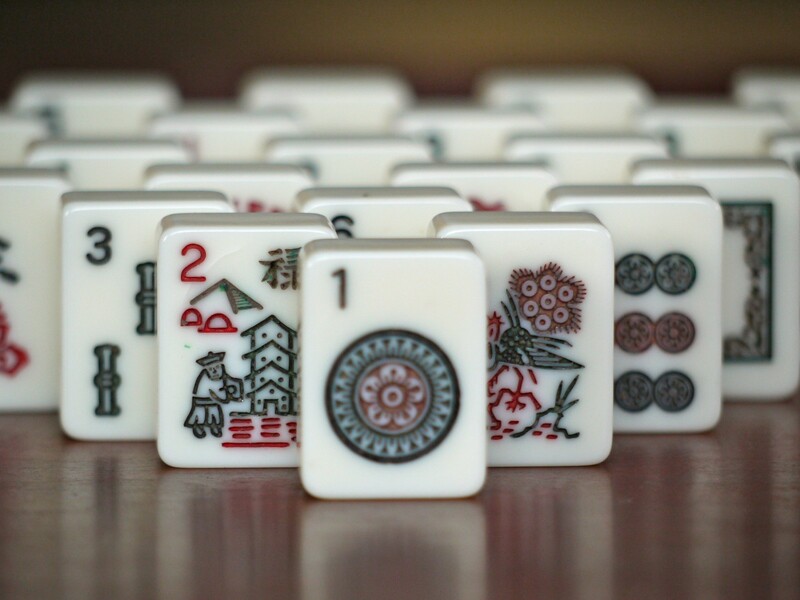 After the talk, learn and play Mah Jongg — American, Chinese, etc. 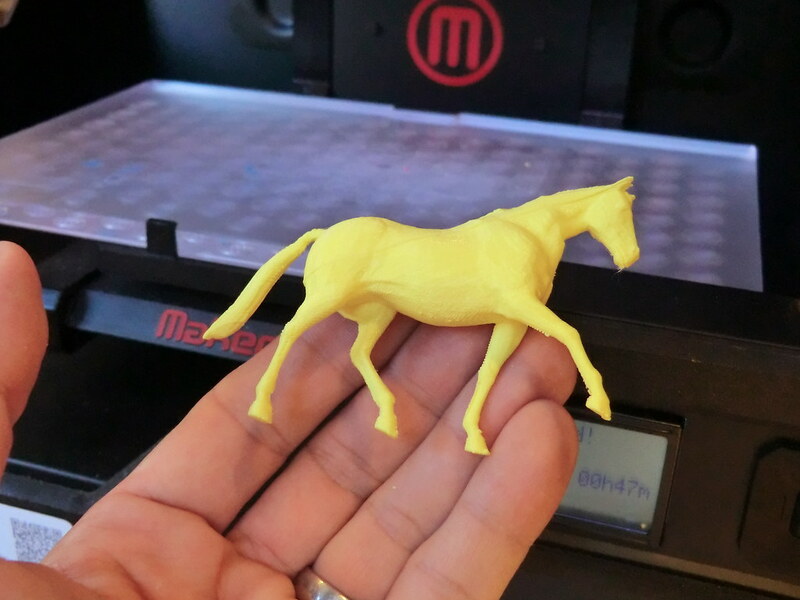 3D printed toy horse figure. Photo by Creative Tools via Creative Commons/Flickr. The Seattle Public Library will offer a workshop on 3D printing basics at the Beacon Hill Branch Library from 1 p.m. to 5 p.m. Saturday, August 15 and Sunday, August 16. Attendees will learn how to design 3D models from prototype to final product, and then send their models off to be printed–all for free. This beginners’ workshop is a two-part introductory series that will uncover the core processes behind 3D printing and introduce the basic concepts behind Rhino 5 software’s 3D modeling tools. Participants will customize an object (think monograms or colors) then finish designing the 3D model and upload it to Intentional3D for printing. No prior experience with 3D printing is necessary to take this workshop. After completing the workshop, attendees will be able to create 3D models in Rhino 5 for 3D printing. The Library will provide a coupon that covers up to $25 for the cost of printing a 3D model. 3D print jobs will be sent to Intentional3D for printing and will be mailed to participants. The program is free and open to the public. Registration is required for both workshop dates. Participants are not considered registered until they have signed up for both workshop dates, 3D Printing Basics: Part 1 and Part 2, at the same location. To sign up, call the Beacon Hill library at 206-684-4711 or register online via the class listing in the Library’s calendar. Class sizes are limited to 10 attendees. Up to five people can be added to the wait list when the class size has reached its capacity. The workshops are intended for teens and adults. The Beacon Hill Branch is located at 2821 Beacon Ave. S.. Neighbors wait for the library to open on a typical day. Photo by Jason Simpson. 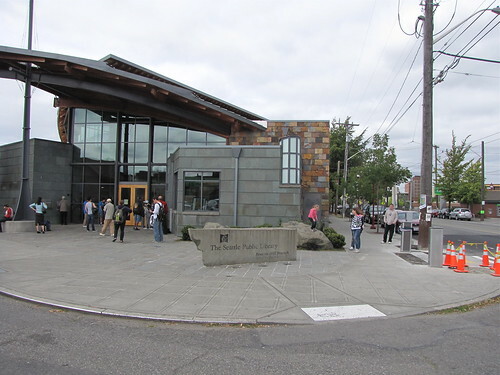 The Beacon Hill Branch of The Seattle Public Library is turning 10 years old and the neighborhood is celebrating this Saturday, July 12! A fun-filled day is planned with refreshments, a panel of speakers, poetry reading and entertainment. Beacon Hill writers, young and old, are invited to share their creativity during an open mic program. 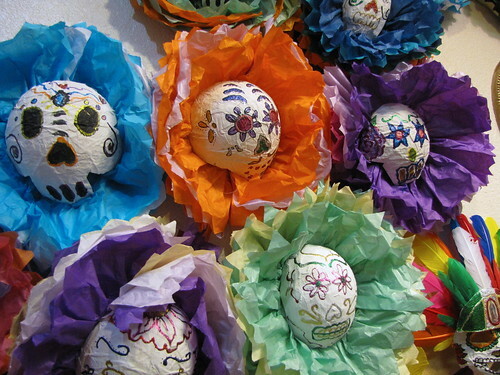 Children and their parents or caregivers are invited to the Beacon Hill Library on October 27 to learn about and celebrate Día de los Muertos (Day of the Dead) with a free milk carton crafts workshop. Kids aged 7 and up will learn how to create an altar, shrine or shadow box with milk cartons. The event is from 1:30 to 3 p.m. on Sunday, October 27 at the Beacon Hill Library, 2821 Beacon Ave. S. There is no fee, and everyone is welcome. Beacon Hill Library: the “Heart of Darkness”? 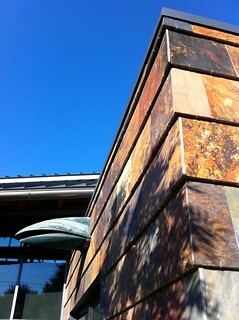 The earth-toned slate shingles on the exterior of the Beacon Hill Library stand out against a blue summer sky. The “whale” shape on the wall is a kinetic artwork; when there is rain, the mouth of the whale opens and drains water to the ground. Photo by go-team in the Beacon Hill Blog photo pool on Flickr. Mudede goes on to compare the branch’s ship-like structure to “the inside of an old cargo ship,” specifically, the hull of a slave ship. What do you think? Does Charles Mudede have a point? Is the Beacon Hill Library an awkward, patronizing example of quirkiness trying to be multiculturalism? Or is it an interesting and well-designed building that both serves the community and reflects the character of North Beacon Hill? Or something else entirely? Neighbors wait for the Beacon Hill Library to open in the morning. Photo by Jason Simpson/Beacon Hill Blog. The Beacon Hill Library is a fine place to find books, DVDs, and more. On one Saturday this month, however, it will also be a fine place to shop. The Friends of The Seattle Public Library are bringing a FriendShop Pop Up Shop to the Beacon Hill Branch (2821 Beacon Ave. S.) from 1 to 5 p.m. Saturday, March 30. The FriendShop Pop Up Shop will include pre-owned paperbacks, children’s books, and gift items such as tote bags, mugs, and jewelry. All proceeds will benefit the Seattle Public Library. The Pop Up Shop is a traveling version of the main FriendShop at the Central Library.